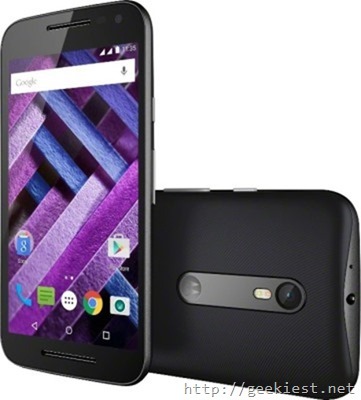 Motorola announced a new Android mobile phone in Indian market Moto G Turbo Edition. The phone will be available for a price of INR 14,499. The phone will be a 5 inch dual SIM supported device with 16GB of storage space. 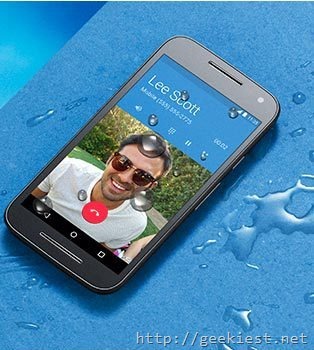 The device will have a IP67 certification on water and dust resistant standards. 5 inch TFT LCD HD display with 1280 x 720 Pixels resolution, 294 ppi and Corning Gorilla glass 3 for protection. 13 Megapixel Rear camera with dual LED flash can record videos at 1920x1080 resolution and 30fps. Secondary camera will be a 5MP one. 2470 mAh li-Ion battery which will support Turbo Charging. Just 15 minutes of charging can gives you up to 6 hours of usage. Sensors available on the device are Ambient Light Sensor, eCompass, Hall Effect Sensor, Proximity Sensor, Sensor Hub, Dual Accelerometer. remember these offers will be available only if you use the Flipkart mobile application to buy the phone.